● Products DescriptionYogurt extract soften dead skin with moisture and nutrition delivery. 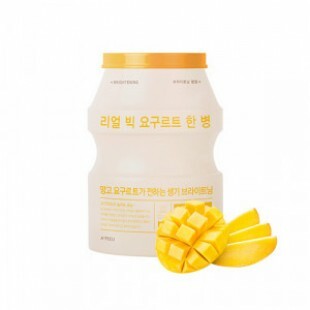 Lactobacillus ferment ingredient increase skin barrier for firm healthy skin care.Mango with rich vitamin gives dull skin bright vital skin care.● How to useAfter face wash use toner to prepare skin. Remove one side film.Place mask onto face focusing eyes and nose areas evenly. Remove mask after 10-15 minutes, pat excessive essence for absorption.